Share a little love with someone special! 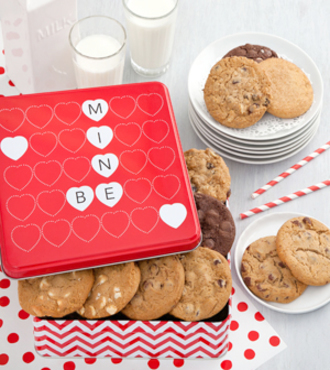 Our classic Valentine's tin is irresistible when paired with delectable Mrs. Field's cookies. Filled with 60 Nibblers bite sized cookies in assorted flavors, this is sure to be a favorite for your friends and loved ones!